Please click the link below, from your tablet, to download the IQ Blower app. Sleek design and modern enclosure panels reduce noise by as much as 20 dBa. IQ can operate at sound levels as low as a whisper quiet 60 dBa and never exceeding the Osha required limit of 85 dBa. During normal operation, the AirSmart controller monitors all critical parameters and displays current operating conditions. If any critical threshold is approached, a notice is generated, recorded, and the advisory is displayed to alert the operator. If the critical threshold is breached, the AirSmart controller will shut down the package to prevent damage to the blower or other components, and provide information about the shutdown. 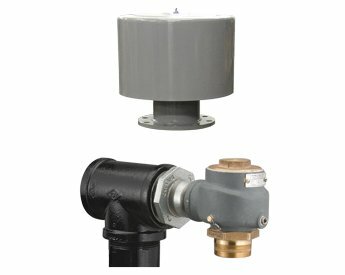 The IQ offers easily accessible process connections for discharge air. The consistent location of these connections facilitates easy operational access to airflow systems. The large package sizes offer flange connections, smaller packages offer NPT connections. Electrical input connections are always located in the same location across the model line. This offers consistency for facility planning and design. The easy inlet and connection design helps to simplify installation time and costs making the IQ a "plug and play" solution. Enclosure base comes with reinforced tow motor slots for installation. This allows for the easy movement of the package. The strengthened base prevents flexing and twisting when the package is lifted, eliminating the possibility of internal component damage during the moving process. The IQ has a large process air inlet section for optimum air circulation. This helps to maintain lower operating temperatures and optimal operational efficiency. Another maintenance friendly feature, quarter turn latches are installed on the on panels to support fast and easy access. When required, latches allow for each panel to opened tool free access to the blower inside. The IQ had been designed with easy access and maintenance in mind. The enclosure panels on both sides and the front lift out for easy all round access to every part of the blower package. This helps to reduce operational maintenance time significantly. The IQ has a proprietary inlet filter located directly beneath the hinged top cover. This eliminates the need to remove enclosure panels for blower access. A filter change itself is as easy as unscrewing the canister lid, changing the filter and replacing the lid. Provides performance flexibility and proven dependability and the lightweight removable polymer guard for ease of maintenance and operator protection. 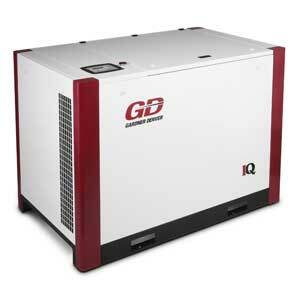 All IQ packages contain Gardner Denver's industry leading blower technology. Controlling internal package temperatures are critical to overall blower life. When working, blowers radiate heat. It is important that heat continues to leave the package even after the blower is not required to be operating. Rather than a mechanical solution, IQ offers an electrical cooling fan that will continue to remove hot air, even after operation. Mechanical fans cannot offer this type of package protection. GD understands the importance of making routine maintenance easy. The IQ is designed with a hinged top cover (with quarter turn latches) to allow immediate access to all of the everyday components. Access includes: the air filter, oil refill reservoirs and motor conduit box. The IQ is the only PD blower package that facilitates everyday operational access without requiring the time consuming removal of enclosure panels. Fill bottles located under the hinged top makes any oil fills fast and easy. Wide reservoir tops allow easy pouring and reduce down time for maintenance. Pressure relief valve location at the back of the package allows for safe operation of the unit with interfering with general package access. To assist easy routine maintenance, each blower oil sump has been fitted with an easy access oil drain. The drains are designed butterfly valve operation to make drainage as fast and easy as possible. IQ contains a belt tension to maintain optimal drive belt operation at all times. System contains a belt wear indicator to provide information on belt condition. This allows proactive belt changes and prevents drive belt failures. All IQ packages have a top mounted motor conduit box, providing direct visibility and access to the motor from the hinged top cover. Easy access facilitates fast maintenance and reduced down time. All IQ packages contain Gardner Denver"s industry leading blower technology. IQ blower base design reduces vibration by up to 76% compared to standard base designs. Reduced vibration means extended blower life and better package performance. The extremely low level of package vibration also reduces the need for expensive, custom installation pads. IQ simply needs a load bearing flat surface saving time and expense. Rather than direct mounting to the discharge silencer, IQ package blowers are mounted to discrete mounting plates. This reduces vibration, reduces overall noise levels and, makes simplifies access for maintenance purposes. All IQ package motors are high efficiency and comply with EISA standards. Motors are available in multiple voltage/ Hz configurations. Isolated motor plate, bearing design and belt tensioning system work together to deliver optimal drive performance and, package longevity. Unlike standard designs, the discharge silencer in the IQ is not used as a structural mounting device. If required, this allows for fast removal and/ or installation that reduces downtime and increases productivity. IQ contains a series of vibration isolators in key parts of the base. These isolators virtually eliminate package vibration, extending package life and reducing noise levels. When discussing performance what really matters? Is it air flow and pressure? Is it heat dissipation and sound levels? 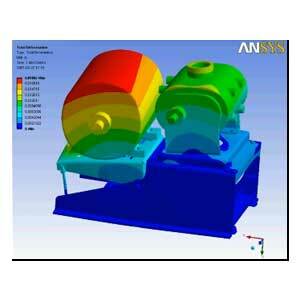 Is it material deflection and vibration? Is it a blower’s reputation for performance over the years or a company reputation for engineered results over the centauries? At Gardner Denver, we believe that it is not any one particular thing that matters. We believe everything matters. That is why the IQ pre-engineered packages undergo extensive engineering and testing in all areas to ensure your package is one that can be relied upon every day. The IQ has been thoroughly designed and built to meet the variable demands of a dynamic work environment. Every business is unique, as is their operations and subsequent air demands. Even within plants, demand for air can fluctuate over hours, days, weeks and months. With this in mind, Gardner Denver designed multiple package sizes that cover an extensive air (or vacuum) map. Packages can be combined in any way to meet your specific requirements. Individual package sizes range from 7.5hp to 100hp, individual package air flow can go up to 1400 ICFM (vacuum applications go up to 15 Hg"). All Gardner Denver IQ packages are fitted with an Air Smart controller that amongst another things, allow machines to be turned on and off as air requirements peak and trough throughout the day. In addition to this, the controller can rotate the designated lead machine, equalizing the overall workload and subsequently improving both performance and reliability. In addition to sequencing machines, the Air Smart controller can also operate our variable speed drives, turning each blower up or down to precisely match air requirements. Even when not feeding air into your system, fixed speed blowers can continue to consume up to 90% of the energy used when running at full capacity. All of this means increased utilities for no real production gains. Variable speed drives combined with Air Smart controllers ensure that air is only ever being produced at the levels you require thus increasing productivity while reducing costs. From a capital investment standpoint, these efficiency gains can mean paybacks in one year or less depending on use. Gardner Denver understands that ongoing performance is critical to the ongoing success of your business. The IQ package is a culmination of precision engineering and extensive testing without compromise that ensures your blower package is as robust and as reliable as possible. All of Gardner Denver’s IQ package design processes begin with 3D virtual modeling and design. This allows our team to look at every aspect of the package from structural rigidity to clearances at the design stage before proving these findings out in testing. Any blower package contains many different parts and complex shapes, some of which are bolted onto the base frame. Understanding where this creates loading stress and flex points in the frame is critical in designing a base that is stable and reduces wear on the blower and the motor. Accurately identifying these stress points can be counter intuitive and cannot really be done without full scale modeling and testing. 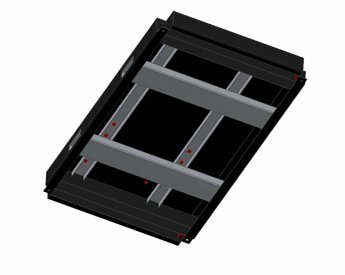 All of the IQs frame and enclosure design was modeled and FMA tested virtually to ensure the best possible structural support for operational use. The result was using metal gauge in the base that is generally thicker than what is available in most packages today because we believe that details like this extend product life and make a big difference to your business. The base was then constructed in accordance with these analysis results and tested again for material deflection and vibration. Any machinery that compresses or pressurizes air will produce heat. Industrial blowers are no different in this regard. Excessive heat levels can potentially cause problems for components that are in close proximity to the blower such as belts, guards, motors, oils etc. The ability to control the internal temperatures is therefore crucial in avoiding downtime and extending the overall life of the package. Gardner Denver has repeatedly tested the IQ with dozens of thermal probes while operating at in high ambient temperatures to ensure that heat dissipation and package cooling surpasses all of the required standards. For many people package noise is a critical factor. On many occasions blowers can be installed on facility floors. This presents safety considerations and sound level regulations are in place to protect people that are in close proximity to industrial machinery. Additionally it is possible in some industries for blowers to be outdoors and beside residential areas creating additional considerations for nuisance ordinances etc. Noise abatement was a key consideration for Gardner Denver when designing the IQ. 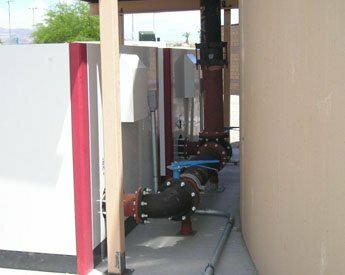 Custom sound enclosures were developed for this project along with custom designed air inlet filters and outlet silencers. All of the designed packages are thoroughly tested in our ISO certified sound room to guarantee that the basic sound reduction of over 20 dba providing one of the quietest blower packages available today. Gardner Denver is one of the oldest and most respected industrial blower manufacturers in the world. This experience, know how and reputation for innovation goes into every product we make. The HeliFlow blower used in the IQ is the 2008 plant engineering product of the year. Every component in the IQ has been proven out through years of service or has been tested extensively for performance. 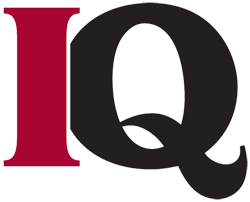 Many components have been designed explicitly for the IQ package. These components have been extensively bench tested to validate performance and tested again as part of the total IQ package. All of this is driven by the desire to deliver the highest possible quality and reliability standards. The singular aim for Gardner Denver with regard to installation is simplicity and a belief that anyone that uses the IQ package should be able to install and operate the unit with minimum fuss. In response to this aim, we feel that we produced genuine plug and play system that saves our customers from any additional hidden complications and or costs. Fully programmed VFD The VFD comes pre-programmed eliminating the need to program on site at the time of installation. VFD integrated inside IQ frame Because the IQ VFD comes inside the existing enclosure, there is no extra space required to wall mount any drives and no need for external wiring between the package and the drive. Vibration Isolators The IQ comes with vibration isolators negating the need for any special housing pads or bolting to the floor. The IQ simply requires a flat surface that will bear its weight. Structural rigidity The strengthened base and frame reduce the risk of damage with placing the blower package in a facility. Pre-wired, pre-engineered, pre-programmed features mean much faster cheaper and simpler installation without needing extra space, wiring or additional manpower to complete the installation. The IQ is pre-programmed upfront. Should anything arise, you don’t need to deal with multiple vendors; your Gardner Denver distributor should be able to take care of it all. The goal of the maintenance group is to ensure that equipment runs as efficiently as possible for as long as possible. At different stages this will involve routine checks, minor maintenance (changing air filters etc) and scheduled maintenance or larger service work. One of the goals with the IQ blower package was to carefully design a package that would to allow easy monitoring in conjunction with fast and easy access to all of its internal components. The end result is a package that is as service friendly as possible. Auto self tensioning belt to optimize belt load, reduce belt wear, regulate overhung loads and minimize bearing wear. Multiple internal monitoring sensors regulating internal heat, pressures, oil levels and run times allows the service person to easily monitor what is happening at all times. Data can be sent through the web to your computer allowing you to monitor performance remotely without having to constantly visit the package. Vibration isolators, no need for special construction pads. The installation surface needs only to be level and to bear the weight of the package. All performance data being recorded in the controller providing one easy access point for monitoring and negating the need to crawl in and around the package to monitor it. Setting advisory thresholds and receiving notices ahead of problems occurring. This allows for proactive intervention rather than shutdown. All the enclosure panels are easily removable with quarter turn fasteners making all components accessible very quickly and easily. The IQ package has a hinged lid (like a car bonnet) allowing instant visibility to all the internal components. All minor components (filters, thermometers, sensors) are all easily access and can be replaced in a few minutes. Inspecting the IQ does not require a lot of tools. 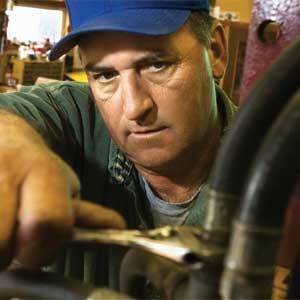 A quarter turn fastener key and a screw driver is enough to inspect the whole machine. If required, all of the whole blower, motor and components can be removed from the enclosure in one piece to allow total access for major service making access quicker and reducing downtime. Over the last 150 years Gardner Denver has developed an unparalleled reputation in industrial manufacturing. This hard won reputation has been achieved through an ongoing commitment to excellence and continuous improvement over this period. The attention to detail in engineering design is matched by a commitment to quality in manufacturing in assembly. Gardner Denver blowers are proudly manufactured in our ISO 9001: 2008 certified Sedalia, MO facility. The professionals based there have a collective goal to simply make the highest quality product available. They have built blowers for decades that have developed an exceptional reputation for reliability and performance. This comes down to four factors, extensive training and development, continuous process improvement, industry leading equipment and rigorous quality testing. 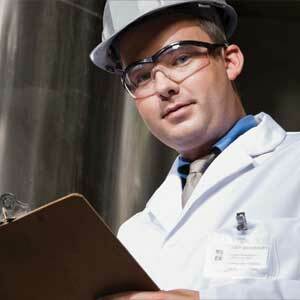 Material entering the facility is subjected to a first pass quality inspection. Once the material is approved, it is milled on finest manufacturing equipment available using digital measurement and testing to ensure precision and exact tolerances. The blowers are then assembled and tested again before being passed for use in a package. The package is assembled and then further tested again for performance standards. Only after every performance specification has been met will a package be approved for shipment. 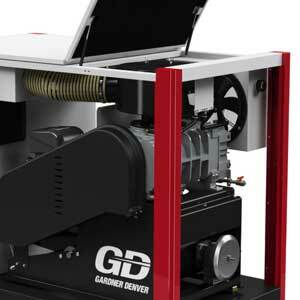 When purchasing a Gardner Denver blower package, you are not simply getting industrial equipment. You are getting over 150 years of commitment to design, manufacturing, quality, service and delivery that sets Gardner Denver apart as a world class business partner. As production manager the single biggest requirement for any piece of equipment is productivity. In short, will this help me and my people get the job done better, quicker or more efficiently? Several smaller themes such as performance specifications, reliability, payback periods, service and support, dimensions and simplicity of operation become important factors. Total cost of ownership includes everything from initial investment, installation, maintenance and utility costs. The initial package cost forms a small part of the cost of ownership equation. 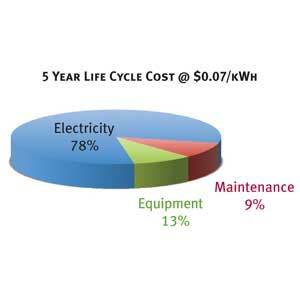 Over a five year period, up to 78% of the total cost of ownership of a rotary lobe blower package will be energy costs. Operational efficiency is key to overall productivity and raises questions such as: How does my equipment perform in terms of utility consumption and how much more important will utility consumption become in future periods? Sizing equipment to efficiently meet demand is therefore crucial, a fixed speed blower running idle (blowing off to atmosphere) typically consumes up to 90% of the energy required to run at full load. Paying for more machine than you need to meet worst case air demands could mean significant periods of energy waste when demand is not at peak. Similarly under sizing a blower package that runs outside its optimal operating parameters increases energy utilization. Variable speed technology is therefore critical in allowing a blower to be turned up during peak demand times and turned down during off peak times. Gardner Denver rotary lobe packages have been designed extensively with energy efficiency in mind. Our goal is to deliver maximum operational efficiency, reducing costs and improving the carbon footprint of your business. Package sequencing capabilities that allow blowers to be turn on and off in sequence as dictated by overall facility demand avoiding the need to oversize systems for ‘worst case’ high demand scenarios Gardner Denver is an Energy Star Partner and is committed to developing products and introducing technologies that help conserve energy and protect the environment. The goal of any business is to be as productive as possible. While energy optimization is key, reliability is also a must. When considering the fact that many of today’s operational costs such as facilities, utilities and personnel are fixed, any time production is down or even constrained, costs to business can be significant. Costs avoidance and the ability to minimize or even eliminate unplanned stoppages helps to manage one of the most costly risks to a business. All Gardner Denver blower packages are fitted with an Air Smart control system with these very issues in mind. Ability to pre program run times and sequence packages for efficient operation that matches facility demand and spread the work between units for reliability. All of this data is held in one easy to read control panel that can be clicked through and reviewed very quickly and easily. The Air Smart controller helps to manage your assets in a meaningful manner. Should anything happen to the blower, pre-cursory advisories should allow an opportunity to head any problems off before they occur. If there is a shutdown, the diagnostic history should point the service engineer to the trouble spot quickly to allow and service work to be conducted and the blower to come back online. In short, the Air Smart controller moves blower management from a reactive state into proactive management. This in turn, helps to support ongoing cost avoidance. Furthermore, ongoing self monitoring reduces the time (and manpower) required to monitor each blower package and allows personnel to engage in other activities. 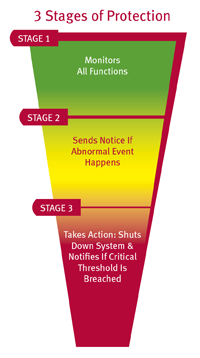 Setting advisory thresholds and receiving notices ahead of problems occurring allows for proactive intervention rather than shutdown. 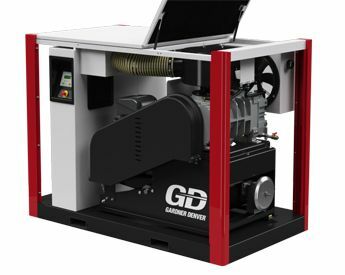 Gardner Denver understands that while ongoing service and maintenance are a critical to the long and productive life cycle of any blower. 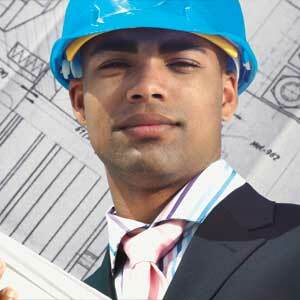 We also understand that any service time is time when units are not in use. 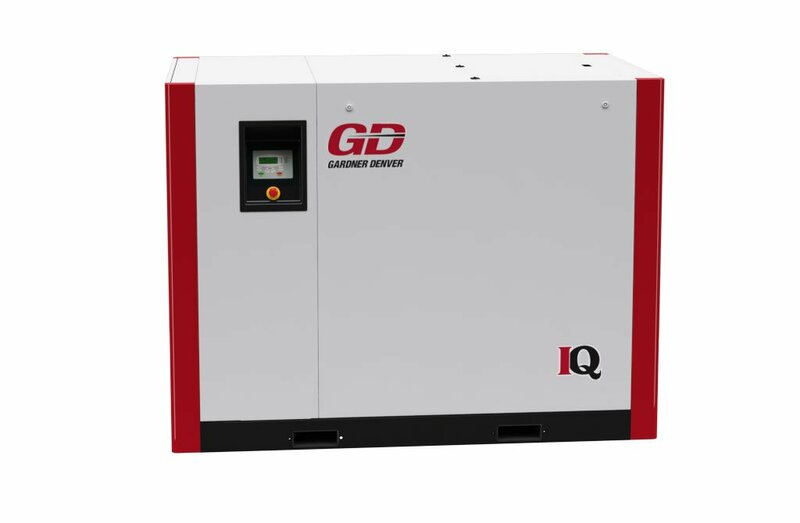 With this in mind Gardner Denver developed the IQ to be as service and maintenance friendly as possible, so in turn you can avoid downtime costs and increase productivity. In today's business climate, social responsibility and decision making are playing an ever increasing role in the decisions we make. Safe low impact production is not only a collective goal for us but increasingly is also becoming a requirement through different standards and legislations. Gardner Denver is an Energy Star Partner and is committed to helping business achieve low impact, high efficiency solutions in line with the demands of today and tomorrow. We are all increasingly living in a lower carbon economy. Emissions standards are increasingly important and issues such as Cap and Trade programs are beginning to become an operational reality. The IQ has been designed with these issues in mind. Typically speaking, up to 78% of the total life cycle cost of an industrial blower is utility consumption. Producing the energy required to operate the blower will typically generate up to 400 tons of carbon per year. 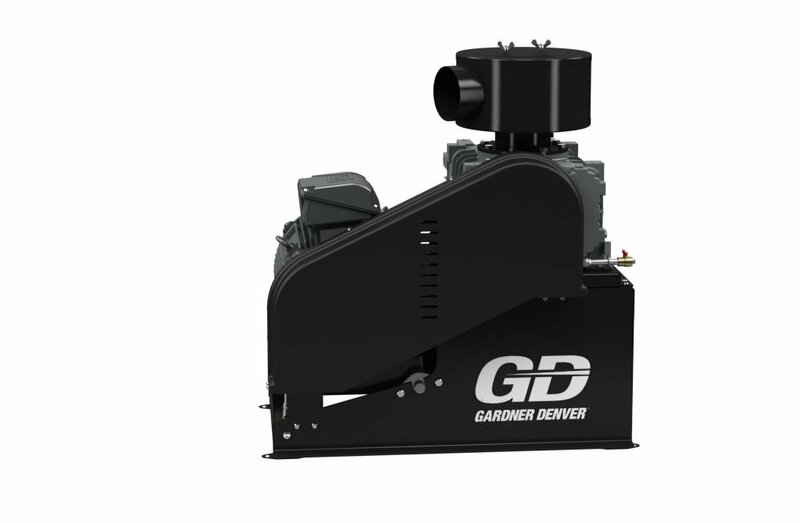 Gardner Denver has developed several features on the IQ that make it considerably more efficient than a standard offering and, in turn, can reduce annual carbon output by up to 25% or 100 tons per unit. 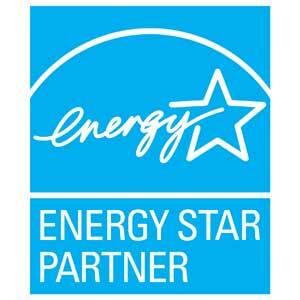 Gardner Denver is an Energy Star Partner and is committed to developing products and introducing technologies that help conserve energy and protect the environment. Energy efficient, low carbon solutions are extremely important considerations in today's business climate. 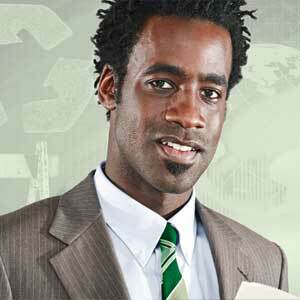 However, Gardner Denver believes that responsible manufacturing should go further. Issues such as noise pollution, recyclability and manufacturing processes are equally important. Safety at work is always of paramount importance and it is crucial that people are not exposed to excessive noise when operating close to industrial machinery. Additionally many plants can be located close to urban environments and nuisance ordinances can be an issue if machinery does operate quietly enough. The IQ has been designed in such a way that people can safely work in the vicinity of the package. The super low sound enclosure can reduce dba output from industrial blowers by over 20 db and in many instances the dba output from the IQ package can be as low as 60-63 dba. This represents a noise level that a full 20-25 dba lower than required standards of 85 dba. In addition to quiet operation, Gardner Denver makes every effort to ensure that internal manufacturing processes have minimal impacts on the environment. We have three goals in this area that are to minimize emissions and accidents, minimize the use of virgin material and non renewable sources, recycling plant materials where possible and minimizing the lifecycle costs of any equipment we produce. 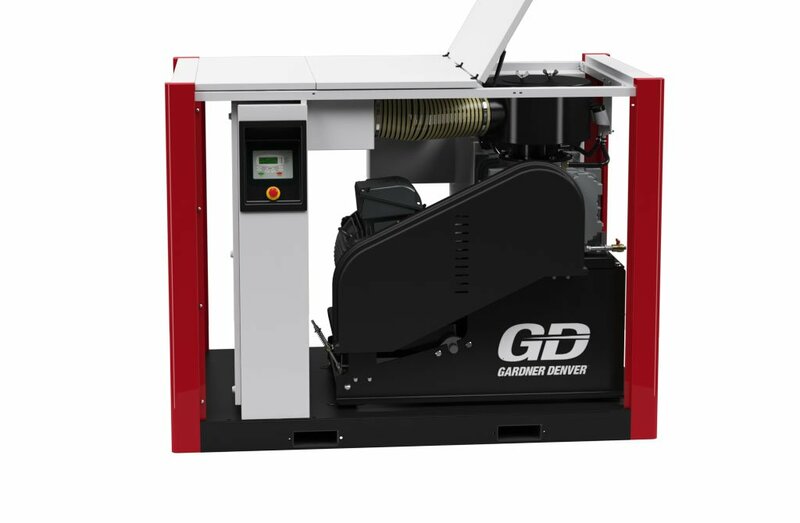 Gardner Denver is recognized as a small quantity waste generator. The majority of components in the IQ are also recyclable. 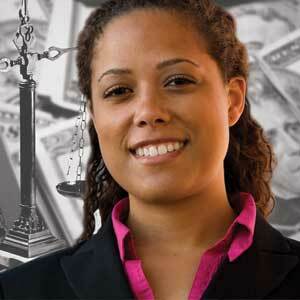 As Purchasing Manger, quality, reliability and value return on investment are everything. 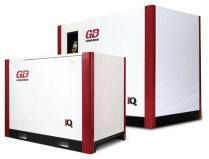 Gardner Denver understands this and with this in mind we have studiously designed the IQ blower package to deliver optimal performance, reliability and ease of use providing immediate returns in your capital investment. The IQ has been thoroughly designed and built to meet the variable demands of a dynamic work environment. Every business is unique, as is their operations and subsequent air demands. Even within plants, demand for air can fluctuate over hours, days, weeks and months. With this in mind, Gardner Denver designed multiple package sizes that cover an extensive air (or vacuum) map. Packages can be combined in any way to meet your specific requirements. Individual package sizes range from 7.5hp to 100hp, individual package air flow can go up to 1400 ICFM (vacuum applications go up to 15 Hg”). All Gardner Denver IQ packages are fitted with an Air Smart controller that amongst another things, allow machines to be turned on and off as air requirements peak and trough throughout the day. In addition to this, the controller can rotate the designated lead machine, equalizing the overall workload and subsequently improving both performance and reliability. In addition to sequencing machines, the Air Smart controller can also operate our variable speed drives, turning each blower up or down to precisely match air requirements. Even when not feeding air into your system, fixed speed blowers can continue to consume up to 90% of the energy used when running at full capacity. All of this means increased utilities for no real production gains. Variable speed drives combined with Air Smart controllers ensure that air is only ever being produced at the levels you require thus increasing productivity while reducing costs. From a capital investment standpoint, these efficienc gains can mean paybacks in one year or less depending on use. The IQ package not only provides exceptional efficiency, it is also extremely simple to operate and maintain. The Air Smart controller has an easy to read four line display and tactile functions for navigating through various menus. Two lines display operating parameters such a pressure while the other two provide any advisory messages, shutdown reports and contact information. Every package produced carries the same controller display and menu option for consistent, easy operation. The net benefit is a reduction in the time required to do rounds and manually monitor the assets. Information can easily be viewed and sorted through using the tabs on the display panel rather than having to get into each package and read gauges. Alternatively the controller can send the information via the web to allow for remote monitoring. The control system also allows advisory levels to be pre-programmed into the system. These advisory systems will send notifications of alerts ahead of any operation parameters are being reached. This allows for preventative maintenance to be put in place (filter change for example) without you losing any production time. We are all increasingly living in a lower carbon economy. Emissions standards are increasingly important and issues such as Cap and Trade programs are beginning to become an operational reality. The IQ has been designed with these issues in mind. Typically speaking, up to 78% of the total life cycle cost of an industrial blower is utility consumption. Producing the energy required to operate the blower will typically generate up to 400 tons of carbon per year. Gardner Denver has developed several features on the IQ that make it considerably more efficient than a standard offering and, in turn, can reduce annual carbon output by up to 25% or 100 tons per unit. Gardner Denver understands that rotary lobe blower packages represent a major acquisition and therefore must represent the best possible net present value to your business. Many considerations such as total purchase price, maintenance costs, personnel support costs, and utility requirements per unit of performance all factor into the overall decision. This is for illustration purposes only. 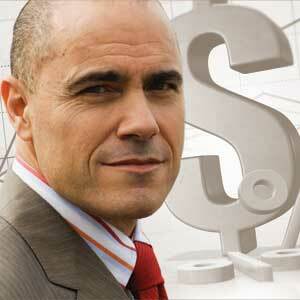 Actual savings will depend on customer's application and requirements. This is for illustration purposes only. Actual savings will depend on customer's application and requirement. 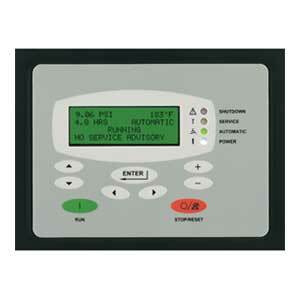 The VFD comes pre-programmed eliminating the need to program on site at the time of installation. Because the IQ VFD comes inside the existing enclosure, there is no extra space required to wall mount any drives and no need for external wiring between the package and the drive. 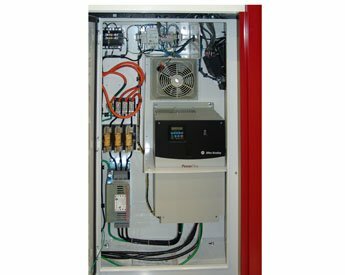 The VFD, controller and motor are pre-wired and set eliminating the need to wire between systems. The IQ comes with vibration isolators negating the need for any special housing pads or bolting to the floor. The IQ simply requires a flat surface that will bear its weight. The strengthened base and frame reduce the risk of damage with placing the blower package in a facility. 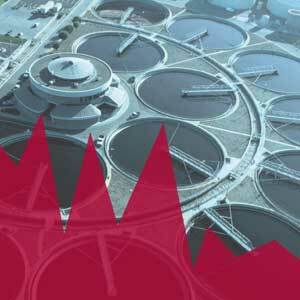 Critical parameters such as: differential pressure, inlet and outlet temperatures, oil sump temperature, oil levels and air pressure are monitored through a system of sensors. If any of the pre-set limits are exceeded the controller will shut down the package and send an operational message identifying what the problem is. Pre-shutdown warning thresholds can also be programmed to provide early detection and warning advisories to the operator. This allows for preventative maintenance ahead of time to avoid any potential shutdown and loss of operational time. Maintenance counters such as filter change times or oil change times can be programmed into the controller. This provides the operator with a scheduled maintenance program to ensure optimal performance and package life. 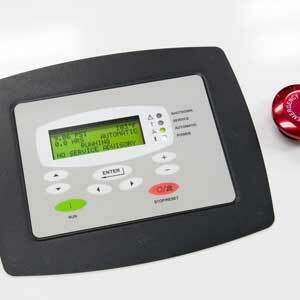 All standard parameters such as pressure, temperature etc are displayed on the screen. Air Smart can be used to sequence packages together, turning master and slave packages on and off in accordance with demand or as part of a timed sequence. This helps to maximize efficiency and reduce costs by tailoring each system to operational requirements. 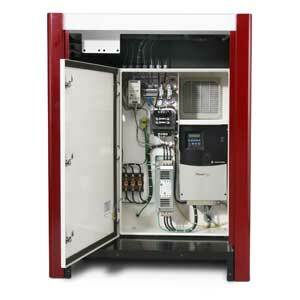 Air Smart can control internal VFD drives providing point of use air flow as required. If required, Air Smart can communicate with SCADA control systems for remote monitoring or holistic system control. Air Smart can provide a service advisory history for easy trouble shooting and operational maintenance.